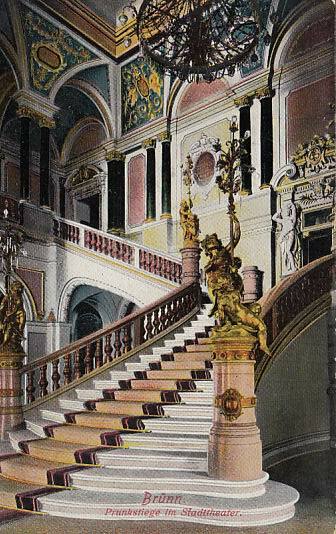 Built 1881-1882 as "Deutsches Stadttheater" for the city of Brünn by Ferdinand Fellner & Hermann Helmer at the site of a previous theatre (built 1771, destroyed by a fire in 1870). 1250 seats. 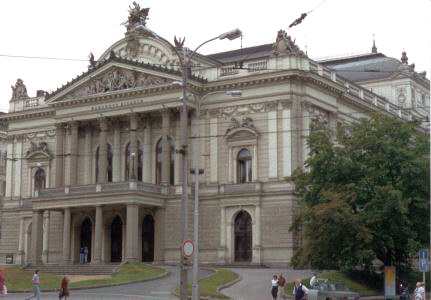 Opened 30 Oct 1882 with Goethe's "Egmont". 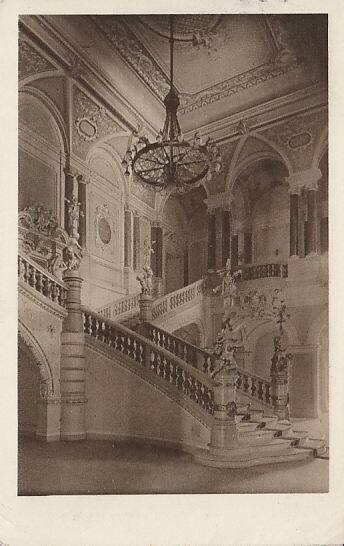 The theatre had the first fully electrical lighting system on the European continent, installed by Edison's assistent, Francis Jehl. 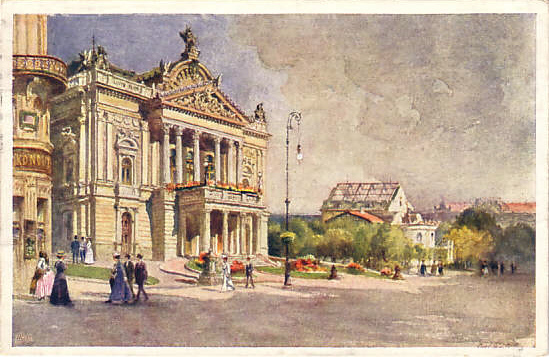 Since 1918, home to the local Czech opera company and renamed "Divadlo na hradbách" (Theatre on the Ramparts). 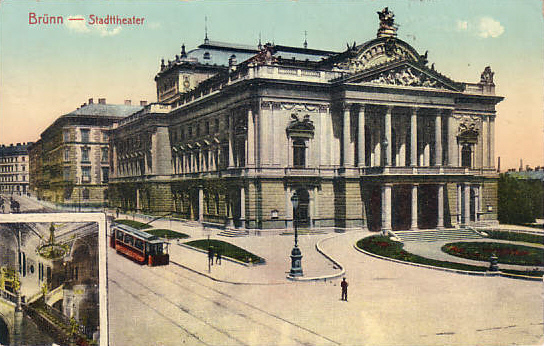 Also known as "Narodní divadlo" (National Theatre). 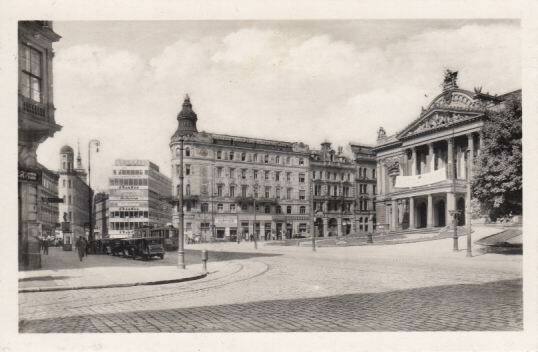 During the German occupation 1939-1945 used for German and Czech performances. 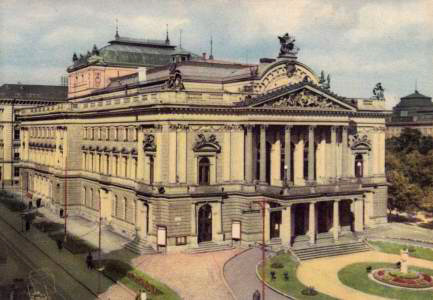 1945 renamed Janáckova Opera, 1946 renamed Janáckovo Divadlo. 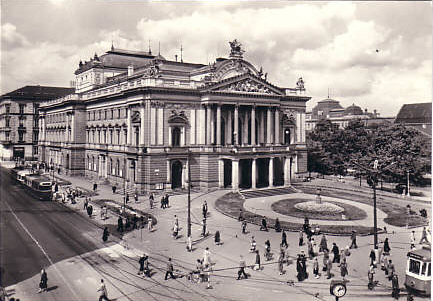 After the building of a new opera house in 1965, mainly used for drama performances and renamed in honour of the Czech author and playwright, Jirí Mahen. 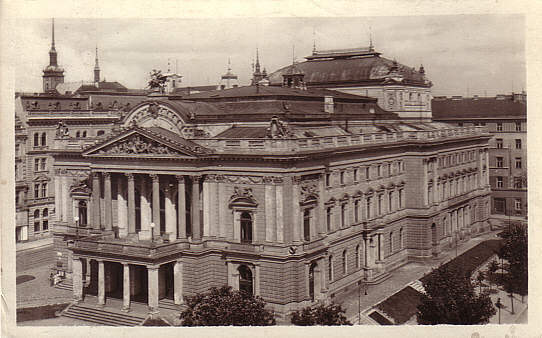 1971-1978 renovation. 1987 opening of "Diavdélko na hradbách", a studio theatre under the main stage of the theatre. Front Text: "Gruss aus Brünn. 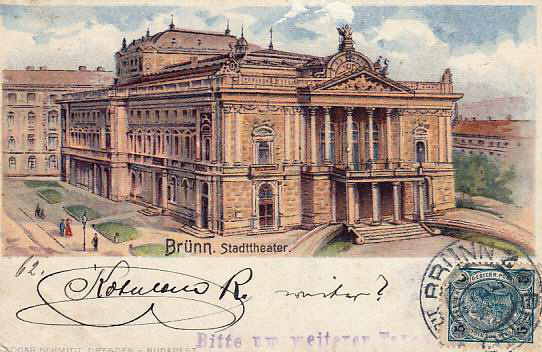 Stadttheater"
Reverse Text: "Brünn, Stadttheater. Carl Weiß pinx." 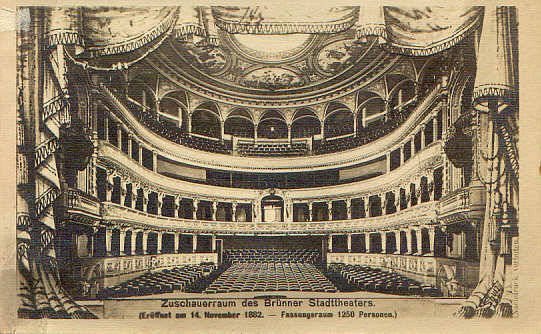 Front Text: "Zuschauerraum des Brünner Stadttheaters. (Eröffnet am 14. November 1862. - Fassungsraum 1250 Personen.)" 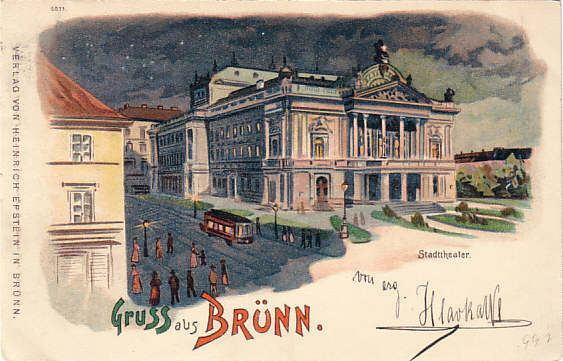 Front Text: "Brünn. Prunkstiege im Stadttheater"
Reverse Text: "Brün, Theater, Hauptstiege"
Reverse Text: "Brno, Narodní divadlo, Janáckova opera"
Reverse Text: "Brün, Theater; Brno - Divadlo"
Reverse Text: "Brno, Státní divadlo, Gosudarstvenny Teatr, Staatstheater, State Theatre, Théâtre d'Etat"
Reverse Text: "Brno, Janáckova opera"